Happy 2012! We hope all of you had a wonderful Holiday Season filled with fun and good memories. So as we start packing up the lights and the tinsel for another year, it seems it’s also time to put away all the rich holiday foods that we so love . . . True Confession: I can’t even begin to remember how many pounds of butter and cream cheese I have bought during the last couple of months! Thank heaven for January – time to say goodbye fatty foods – hello fresh! 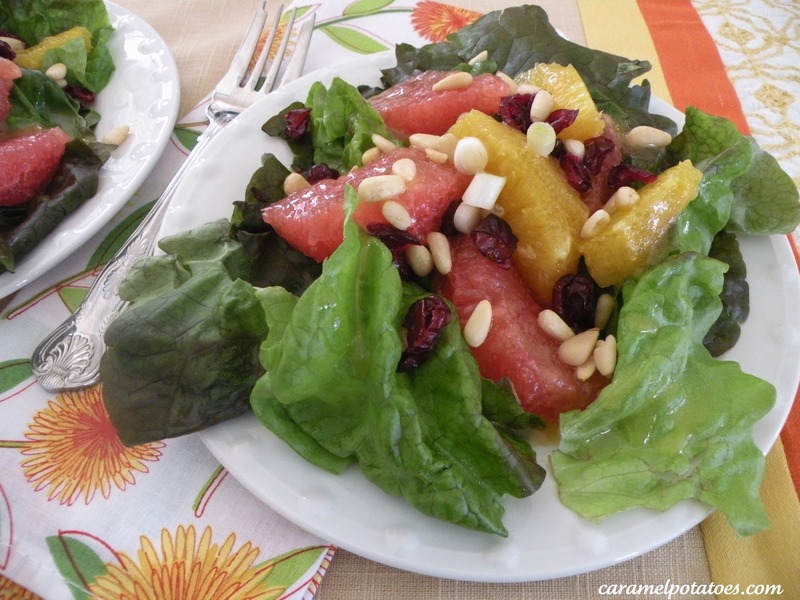 So to start the new year off here is the most wonderful winter citrus salad! This salad is so perfect for this time of year when other fruits are not at their best. Eat what is in season – you’ll love how fresh this salad tastes! Be sure to check back tomorrow for some kitchen talk on how-to segment your citrus. Wisk together first 4 ingredients and then slowly add oil. 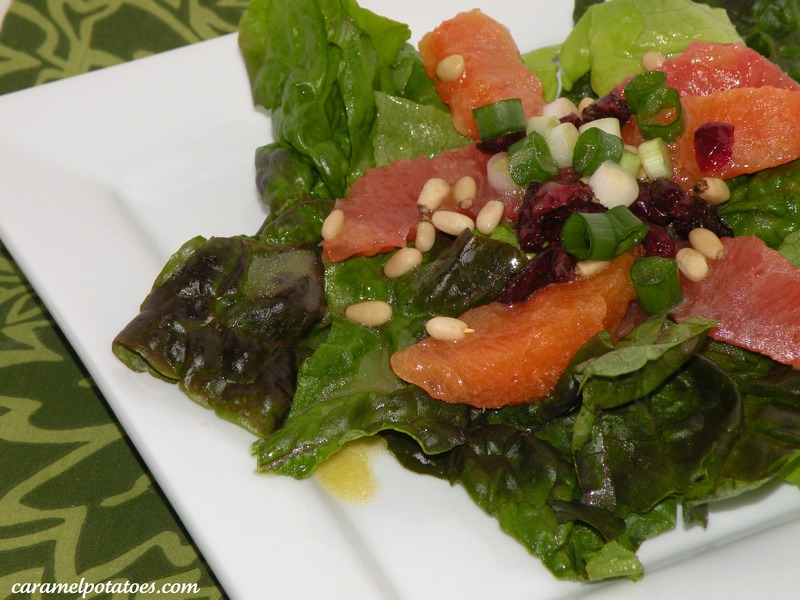 You can use both grapefruit and oranges or just grapefruit – you want that contrast of the orange dressing over the grapefruit! Yummmm! Drizzle over salad when ready to serve. I love new twists on salads. This one looks great. This looks great! Love grapefruits and pine nuts.